1 x KS 1 x QS 2 xTribunks (2 x DS 2 x SS) beds. 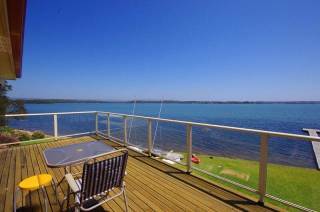 This absolute waterfront retreat is the perfect place to unwind and enjoy the views of Lake Macquarie from your own private covered balcony. 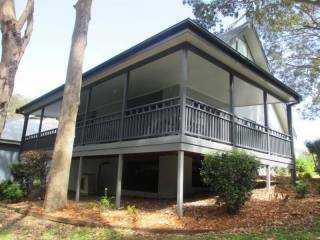 The perfect getaway for either a family, with it's proximity to the lake, beaches & large yard (bring the bikes) or a romantic getaway for two. 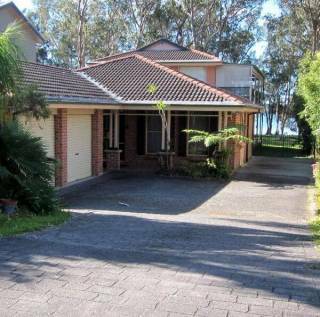 Situated at Summerland Point on the shore of Lake Macquarie, the home is only one hour from the F3 Wahroongha Sydney and 45 minutes from Newcastle. Minutes from pristine beaches, Summerland Point is a watersport haven where families and couples take delight with water activities, wildlife and birdlife right at your doorstep. Kids play in the garden like the old days, a full boat launching ramp is around the corner and there is plenty of room to park a boat and cars. 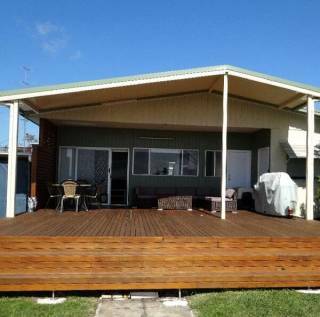 Cast your fishing lines out the front or a short walk to the large jetty next to the kids playground. A fully refundable deposit of guarantee is requested on entering the accommodation to ensure its careful use. 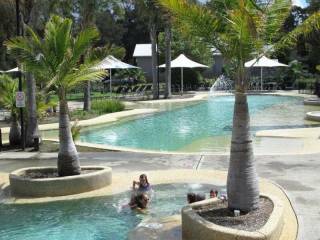 For this accommodation, the deposit value is: 250.00 AUD($) from the total cost of reservation. Booking Cancellation Policy - Non peak periods. Peak periods. Public holidays including Long Weekends, NSW School Holidays, Easter, Christmas, the State SLS Championships and Special Events. Part cancellations will not be accepted. For your personal safety & security, all payments are processed through a secure socket layer (SSL) Payment Gateway. Babies & toddlers up to 2 years are N/C. Cot (supply own bedding) & high chair hire are extra.